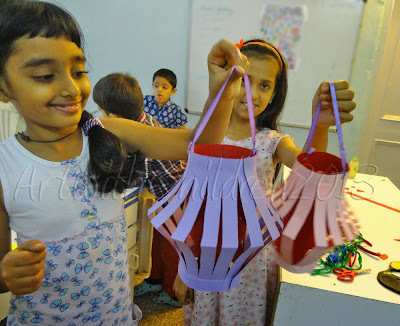 Colorful paper lanterns make a beautiful craft activity for Diwali. 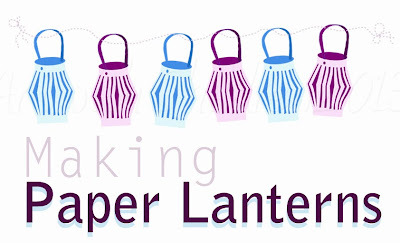 These lanterns are easy to make and are sure to add a festive look to our spaces. 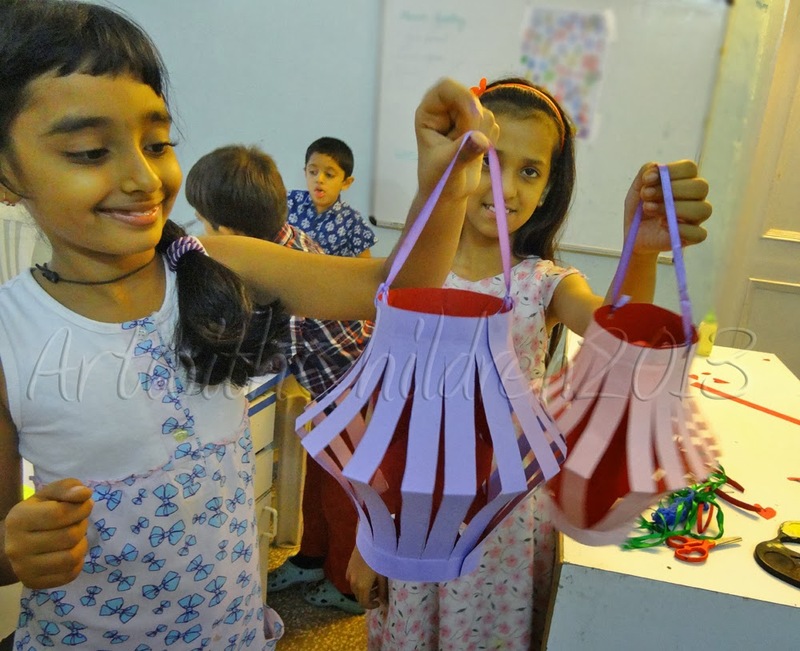 Here are a few we've made during our craft session this week. 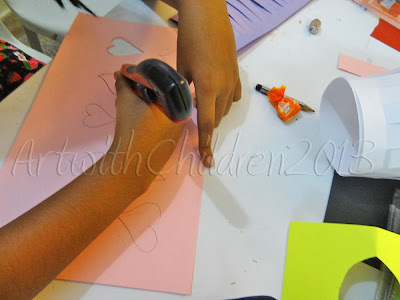 We need two a4 sized craft / card stock / pastel sheets of different colors. 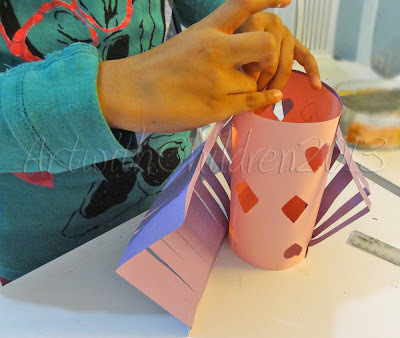 Draw and cutout a few patterns on the inside sheet. Then roll it and stick it setting it neatly into a cylindrical shape. 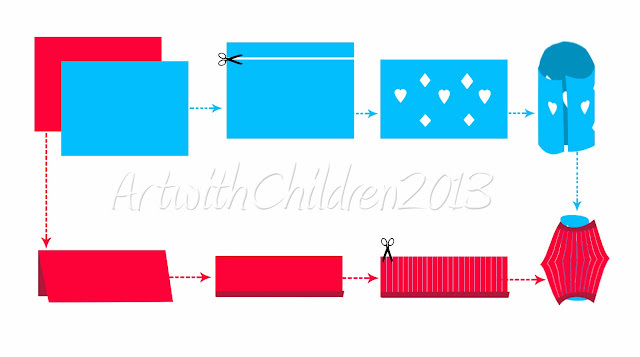 Fold the sheet for the outer layer in half, length wise or horizontally. After that fold about 1 cm on the edges or draw a line. Then draw vertical lines avoiding the 1 cm on the edge and cut carefully on these lines. Stick the edges on to the cylinder we have created for the inside. 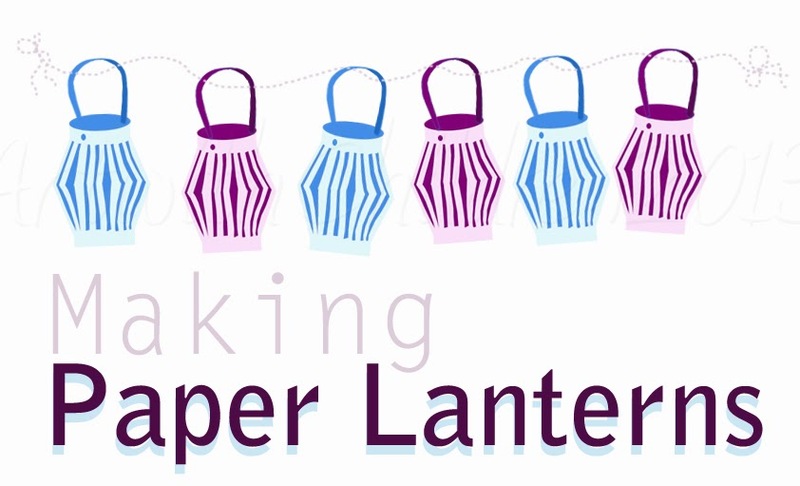 Punch holes on either side of the lantern and use a thin ribbon or string to hang it up! 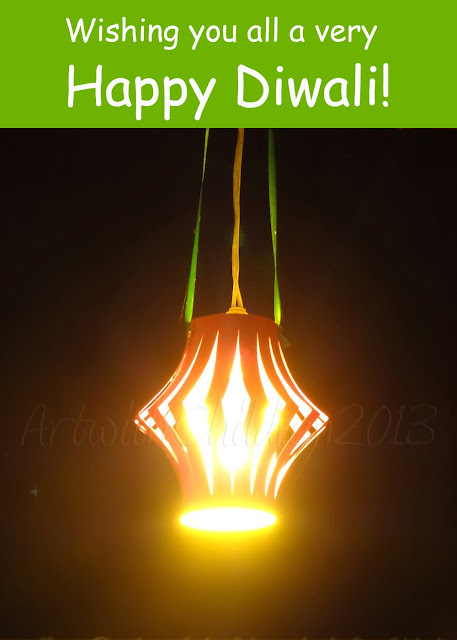 Once lit the lantern looked gorgeous although the image below doesn't show the actual effects! Here's wishing all our readers a very Beautiful and Happy Diwali!